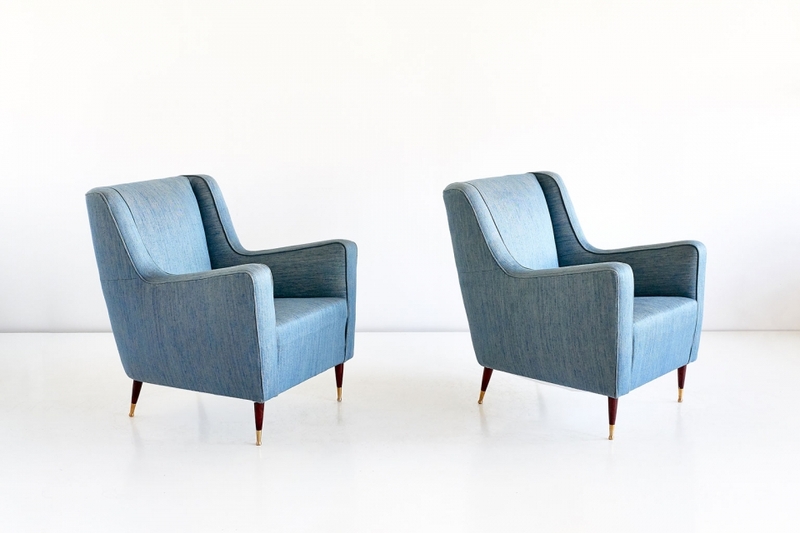 This rare pair of armchairs was designed by Gio Ponti in the late 1940s. The comfortable lounge chairs are characterized by their modern lines, elegantly tapered legs and brass feet. The model of this chair was designed for the Conte Grande oceanliner. The interior design of ocean liners played an important role in Gio Ponti’s diverse career while also helping define mid-century Italian style. 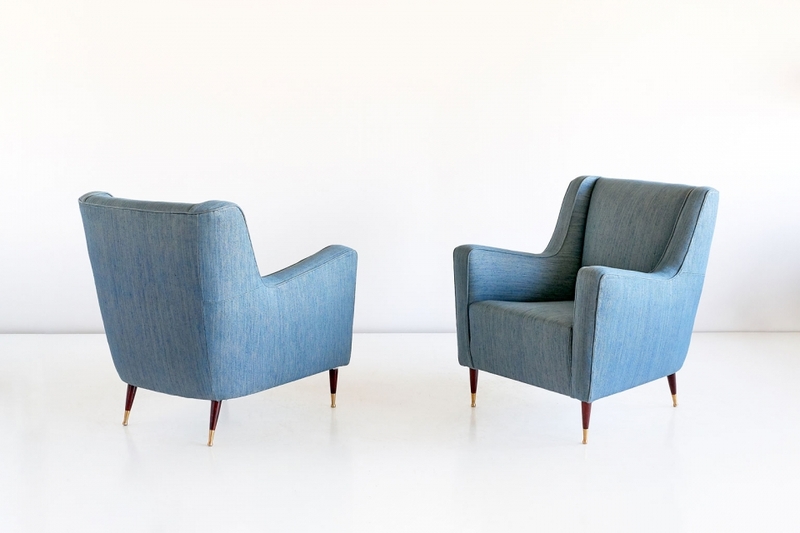 This pair is accompanied by a certificate of authenticity from the Gio Ponti Archives, number 17232/000.